US President Barack Obama at the Paris Climate Change conference. COP21 Twitter photo. WASHINGTON _ President Barack Obama is trying to negotiate a legacy-making climate change pact this coming week in Paris with one hand tied behind his back. Congress can’t even agree whether global warming is real. “Congress and more than half of the states have already made clear that he won’t be speaking for us,” according to a McConnell opinion column posted on The Washington Post’s website. He said it would be “irresponsible for an outgoing president to purport to sign the American people up” for a new climate agreement. With little room for error, leaders have tried to avoid the pitfalls that undercut global climate negotiations in the past, specifically, those in Kyoto, Japan, in the early 1990s and in Denmark during Obama’s first term. The deal in Kyoto, which the U.S. never ratified, spared developing countries such as China and India from mandatory emissions cuts, causing resentment in the U.S. and other industrialized countries. The Paris agreement would be the first to involve all countries. The concept behind a Paris pact is that the 170 or so nations already have filed their plans. They would then promise to fulfil their commitments in a separate arrangement to avoid the need for ratification by the Republican-run Senate. That dual-level agreement could be considered part of a 1992 treaty already approved by the Senate, said Nigel Purvis, an environmental negotiator in the Clinton and George W. Bush administrations. Half the states are suing the administration to try to block Obama’s unprecedented regulations to cut power plant emissions by roughly one-third by 2030. These states say Obama has exceeded his authority and is misusing the decades-old Clean Air Act. 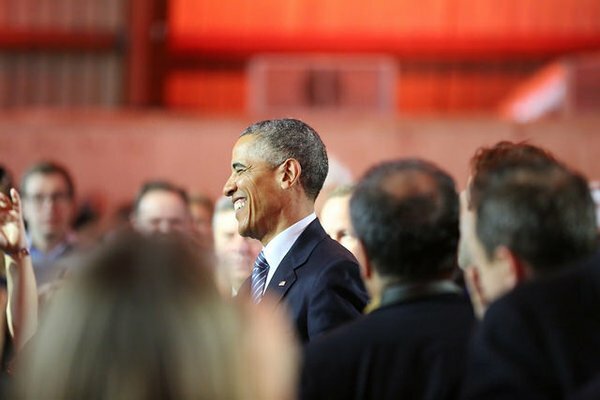 If their lawsuit succeeds, Obama would be hard-pressed to deliver the 26 per cent to 28 per cent cut in overall U.S. emissions by 2030 that he has promised as America’s contribution. Opponents also are trying to gut the power plant rules through a rarely used legislative manoeuvr that already has passed the Senate. A House vote is expected while international negotiators are in Paris.